This may be crazy. And I may totally fail. But I hope not. Ever since I learned to quilt, about seven years ago, I’ve wanted to make a hand pieced quilt. It seems so portable and charming and fun and a little bit crazy. I’ve hand pieced coasters and mug rugs, but have always been on the lookout for the quilt project that seemed just right. 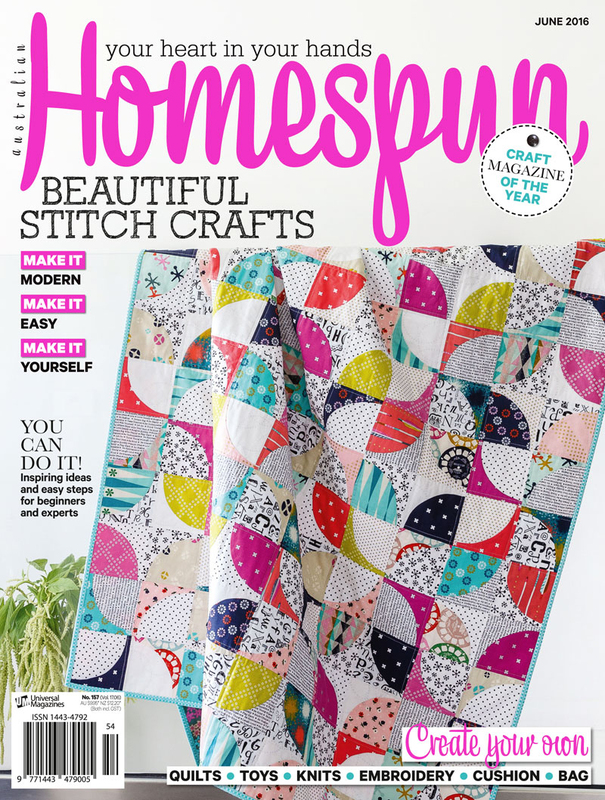 Enter the Fat Quarter Shop Patchwork Quilt Along. I really had no idea it was going to lead to this, but I love the simple patchwork blocks and clean lines of this quilt and decided, very last minute, to jump on the bandwagon. This pattern has the awesome side benefit of raising money for charity–and I was happy to donate to Make a Wish. I really didn’t want to buy fabric (but I did), so I started out with some Bonnie and Camille fabric from my stash. I downloaded the pattern, made my donation, and started cutting. These pieces are small! 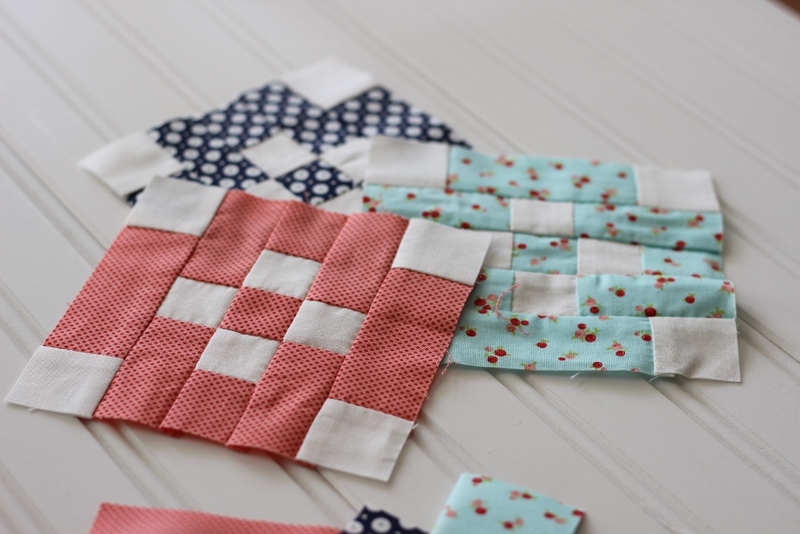 Like 1″ finished squares! I was pondering how careful and accurate I needed to be as I sat down at my sewing machine. Now, my accuracy has been improving steadily these last couple of years, but still. It was then that I realized that this would be a perfect hand piecing project! It ‘s much easier to be accurate when sewing by hand. The blocks are only 5″ and fairly simple. So I stepped away from the machine and got out the needle and thread. I confess, it has been awhile since I did any hand piecing and my skills were quite rusty. Let’s just say I made a few mistakes early on. The first was that I only marked the seam allowance on the one edge of the fabric that I was going to sew first. Mistake. 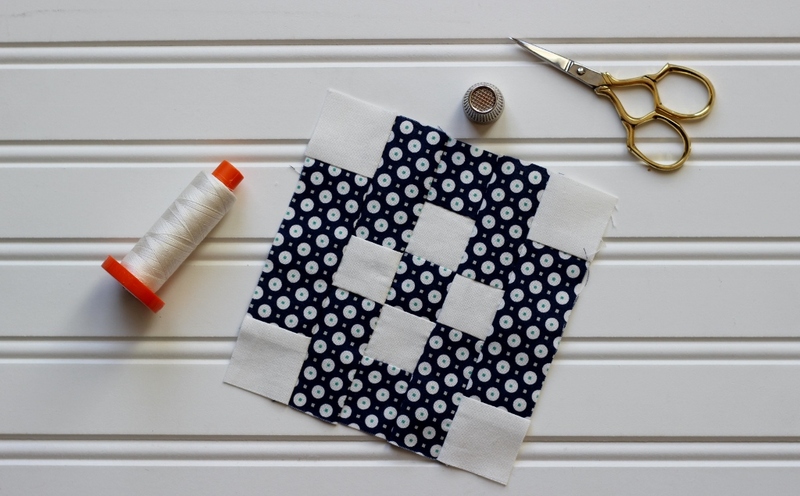 You are eventually going to sew all four sides of the fabric, so go ahead and mark them all while it is a nice, flat piece of fabric and not all lumpy and bumpy from being sewn to other tiny pieces of fabric. The third was that I forgot how to get really neat points and corners. The first two blocks are off a bit, but I pulled out my Quiltmaking by Hand book from hand sewing guru Jinny Beyer, and read up on it. The last block, the red one, came out much better. Progress! I thought about redoing the first two blocks, but they aren’t horrible, and I decided to look at this quilt as my journey in hand piecing. It will be a visible record of my improvement. I decided that I wanted to use a variety of Bonnie and Camille fabrics for this project, and my stash was not adequate, so I ordered a layer cake of Bonnie and Camille Basics to get a bit more variety. As a matter of fact, I am (im)patiently waiting for the UPS man right now, so that I can get back to it. 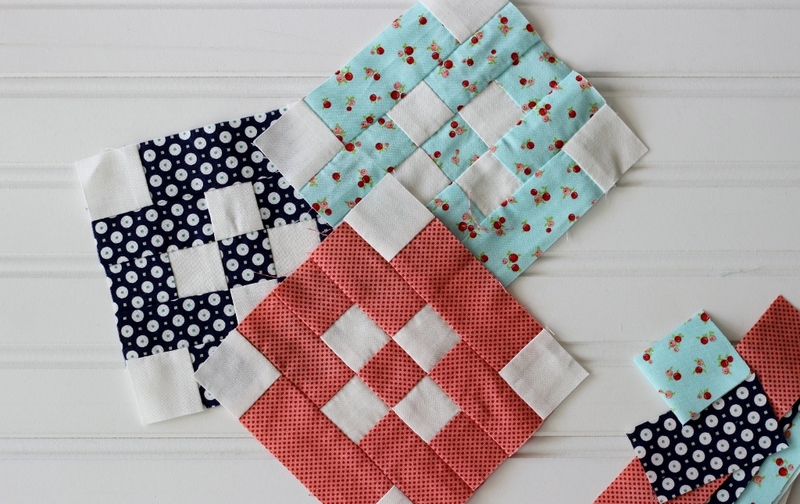 To stay up with the Patchwork Quilt Along, you only need to make six blocks a month. It seems pretty do-able–even by hand! I plan to just tackle it one month at a time. It’s amazing how many “found” moments there are in a day to sew a quick seam. It is a goal of mine to use my time more effectively, and using these small moments to stop and hand sew for a bit makes me unreasonably happy. Anyone else sewing along? I’d love to hear about it! I don’t know how you have the patience for this lol! It looks amazing….good work!